You can find these snacks in my lunch bag EVERY DAY. I try to stay away from packaged foods, but I usually store a protein bar in the mix to fill me up throughout the day. Why 23, Michelle?! I googled it! LOL I tend to over eat at the office, so I googled how much is recommended daily. Portioning out my almonds is an easy way to include crucial nutrients to my diet. They are rich in Vitamin E, Calcium, Magnesium, and Potassium! Also reduces heart disease as well. These cuties boost your immune system, helps reduce stress and depression, maintains healthy bones. A huge plus is it keeps your skin healthy & youthful. I've been tryingggg to eat this more, but I tend to keep this last in my lunch bag. I hate how fast bananas spoil, but I sure love em! Bananas can help relieve muscle cramps caused by exercise and provide fuel for endurance. It is also high in Potassium and rich in fiber. Quick tip: wrap the stem of the bananas with plastic so they have a longer shelf life! Freeze bananas that are about to spoil for smoothies! The Red Velvet and Cookies & Cream are my favorite flavors! Fun fact: I ate these right after I got my braces because it was crunchy yet still soft. This isn't a snack, but I thought it's important to show what I drink throughout the day! I drink 2- 2 1/2 40z of water a day, well that's the goal! I usually drink 1 cup of coffee 10oz a day as well. Special shout out to Power Crunch & Takeya for gifting me! 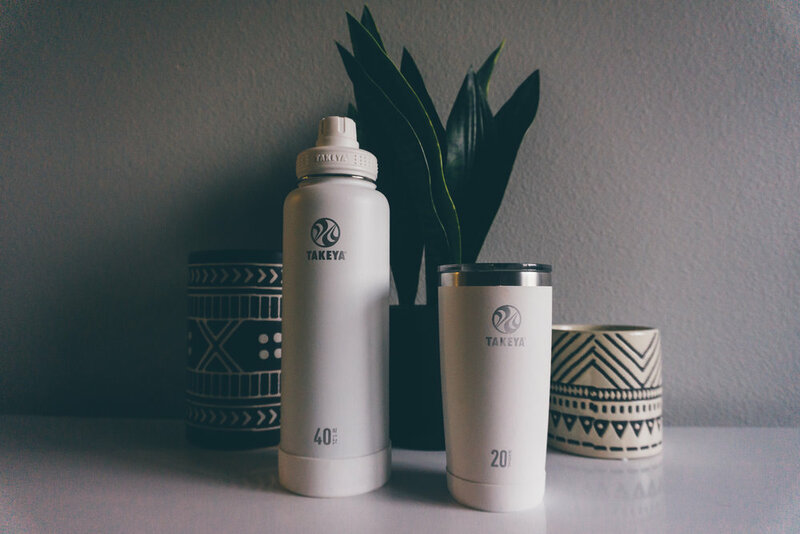 I literally use Takeya and bring it with me everywhere I go!